This toolkit was developed through the We Will Speak Out South Africa (WWSOSA) partnership. The information compiled in the pamphlets was informed by a series of workshops and trainings for faith communities in Gauteng and KwaZulu-Natal through Amplify Change funding. Sonke recognises the journey of a Faith Organisation from being non-affirming to welcoming and affirming of the LGBT Community. While it may be easy for some, for others it may be slow and even painful. However, this toolkit will allow all Faith Organisations an opportunity to embrace the fundamentals of love and compassion. 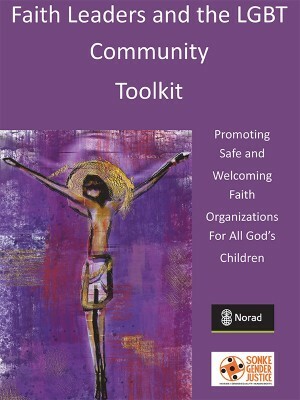 This toolkit is also ideal to be used together with the LGBT pamphlets and PowerPoint presentations.